It ain’t gas and it ain’t electric but it still goes like stink. We’re down with that. You may have seen pictures of the GreenGT H2 from the eco-friendly race car group shots taken at this year’s 24 hours of Le Mans. The H2 is powered by a hydrogen fuel cell that drives two electric motors on the rear axle. It will take the experimental technology spot in Garage 56 (the Nissan Deltawing was in Garage 56 this year) for the 2013 race. This animation shows the layout of the car and how the fuel cells work in conjunction with the car’s air compressors. This is one of those simple ideas that makes you bonk yourself on the head and say, “Why didn’t I think of that?” I think it has potential to become a very practical and inexpensive way to harness solar energy once all the details are worked out. If you agree with me, head over to their Indiegogo page and take part in their crowd funding. Jay Leno’s Ecojet is a project that’s been two and a half years in the making with the help of his garage mechanics and industry friends. The goal was to build a high performance car powered by a turbine burning soy bean oil based biodiesel. Like engines, turbines turn thermal energy into rotational mechanical energy. Instead of compressing air and fuel for detonation, the expansion of heated air turns a fan-shaped turbine on a rotating shaft. The most common automotive application is a turbocharger that harnesses the thermal energy of exhaust gasses. It’s work is then used to compress fresh air to force into the engine’s cylinders. Turbines are only used for direct mechanical drive in heavy duty applications like tanks, trains, ships and helicopters. They’re a lot more efficient when they can stay spun up at high rpm’s. Piston-cylinder engines are generally more efficient for the stop and go duty cycles seen in cars, but that’s not to say that turbines were never used in cars. 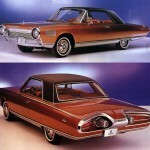 Check out this vintage promotional video for Chrysler’s turbine car program from the early 60’s. 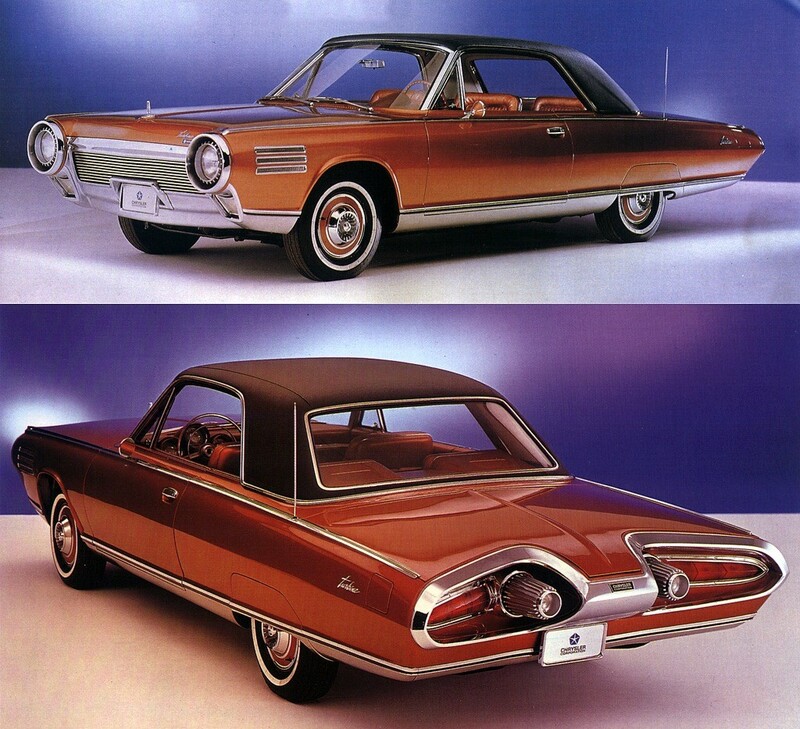 Jay Leno owns one of the 50 cars that were made available to the public.